A couple weeks back I happened upon a chance tweet from @HUN_WineRoad announcing the Hungarian Wine Roadshow tour of the United States. Even better, they were stopping in at the Screwtop Wine Bar, close to home in Arlington Virginia. If you are unfamiliar with Hungarian wines, there are a couple indigenous beauties such as Furmint, Hárslevelű, Irsai Oliver, Kadarka; with German\Austria influences of Kékfrankos (Blaufrankish), Müller-Thurgau, and Olaszrizling (Welschriesling). International varieties flourish in Villány as well as Eger & Szekszárd. When I arrived at the tasting, there were maybe 30 wines lining the table with the Roadshow's rep Martin, ready to pour. The wines ranged in retail price from $1.50 (yes, some bulk wines) to $15 for the serious brands. So affordable. 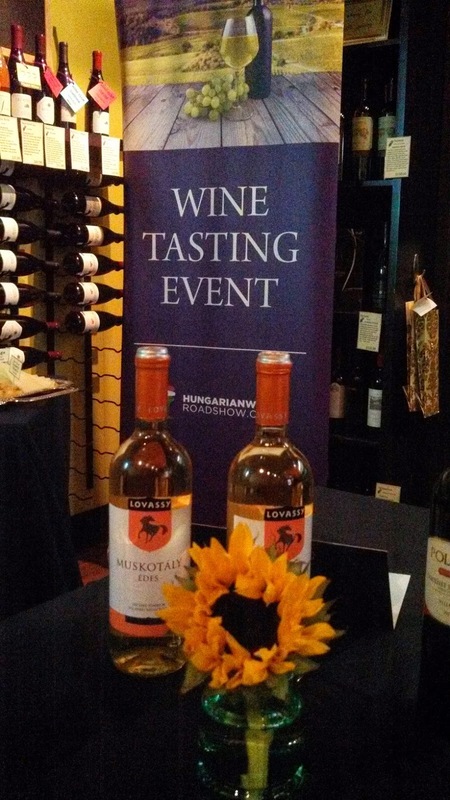 There were only about five white wines, which generally reflects the composition of the Hungarian wine industry. The most interesting of these were the Figula Winery 2012 Sauvignon Blanc and the Almagyar-Érseki Vineyard 2011 Lelkifröccs White Cuvée - a blend of Leányka, Traminer, Sauvignon Blanc, Rhine Riesling, and Olaszrizling. For the reds, I found that the Tamás Günzer Winery was the most consistent, followed by Mészáros Winery, and Polgár Winery, and . 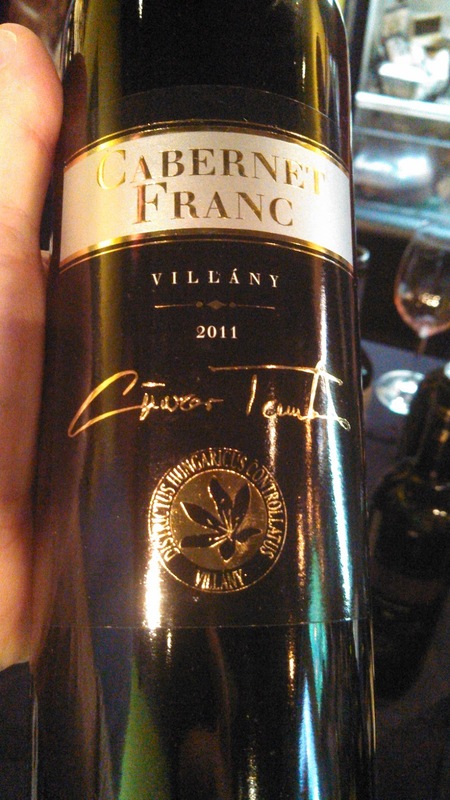 Tamás Günzer is located in Villány and their single varietal Cabernets were the highlights of the tasting - both had juicy characters with soft tannins. Their Stílus blend of Cabernet Sauvignon, Merlot, Pinot Noir, and Kékfrankos was not bad either. Mészáros is located in Szekszárd and specializes in Kékfrankos. Their Bodzási Lemberger was the best Kékfrankos of the group, portraying the typical slightly spicy flavor with a twist of toffee. 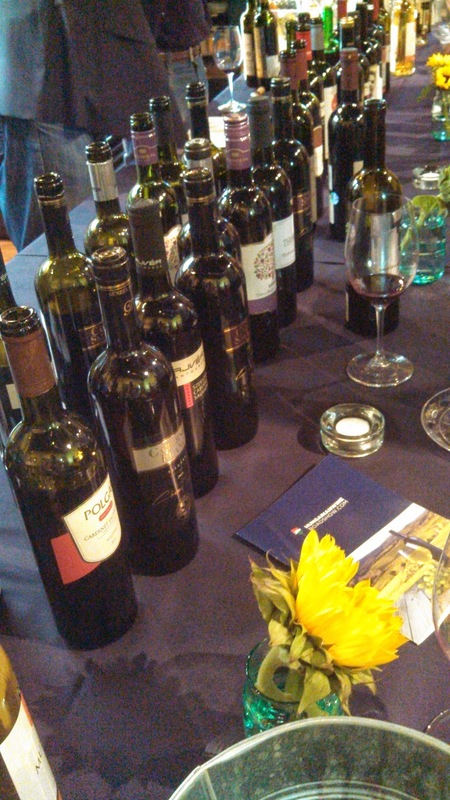 The winery's 2011 Merlot was also well received - nice acidity and cherry flavors. Polgár is also based out of Villány with their 2011 Cuvée (Syrah and Cabernet Franc) and 2011 Cabernet Sauvignon both drinkable now with their soft tannins. A couple other interesting reds were the Demeter Winery Franc de Franc, a blend of Cabernet Franc and Kékfrankos, and the Thummerer Winery 2009 Bull’s Blood Superior. This later is a blend of Kékfrankos, Cabernet Franc, and Merlot and is velvety smooth, and like the former, juicy sour cherry flavors. The road trip continues through mid-June, so check their schedule to see if they are visiting your area: Jacksonville, New Orleans, Dallas, Las Vegas, Los Angeles, San Francisco, Napa. And if so, definitely plan to attend. Cheers. 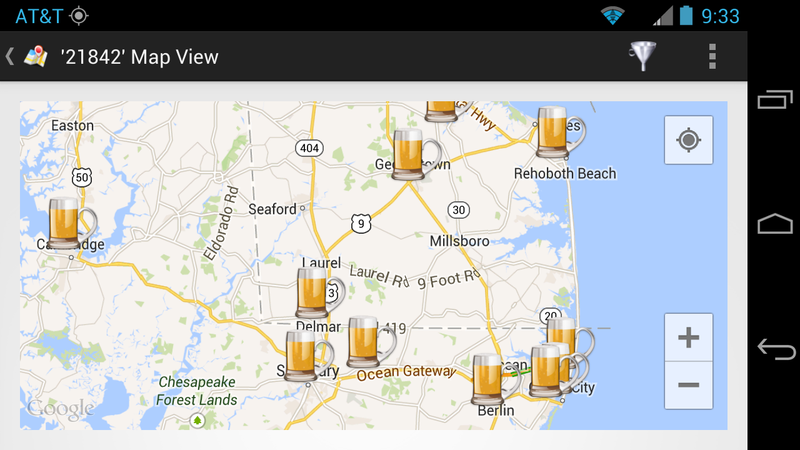 I had heard rumors and SAVOR verified that the latest beer making trend is brewing with crab seasoning. 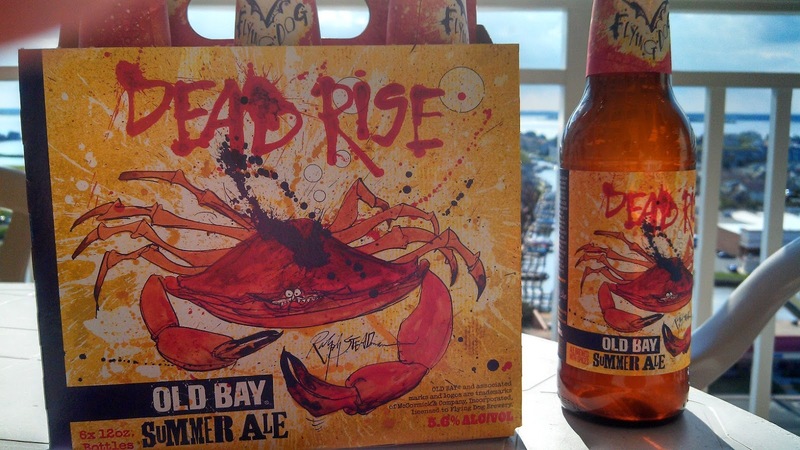 Frederick's Flying Dog Brewery started the trend by officially partnering with McCormick & Company to add Old Bay to produce Rising Dead OLD BAY Summer Ale. The release honors the spice's 75th anniversary and proceeds are contributed to True Blue, an organization that advocates on behalf of the Chesapeake Bay's 5,500 water men. The beer itself starts very clean, but then finishes with the familiar taste of Old Bay - sometimes subtly - other times - more intensely. A food pairing, and just not crabs, are in order. Even chips and salsa worked well. Supplies are running low as the beer is in great demand. 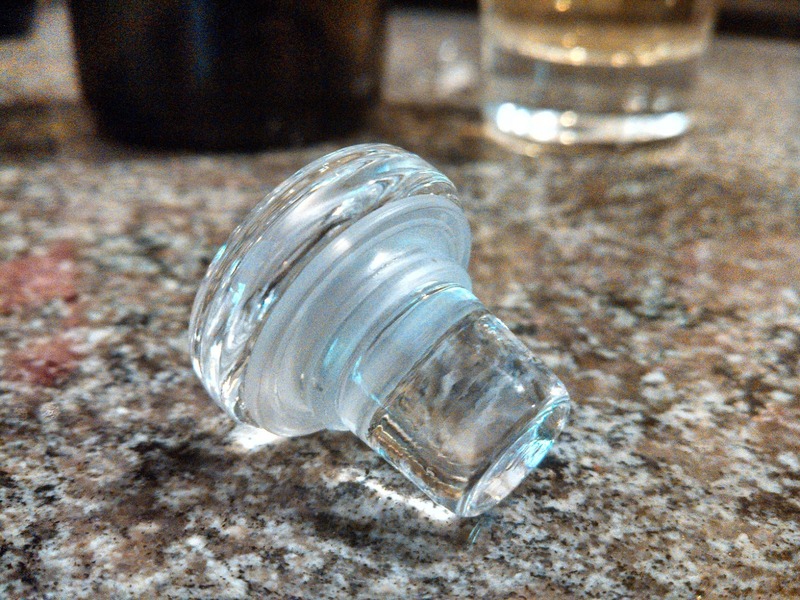 Before you homebrewers attempt to re-create your own version, don't start dumping Old Bay into your wort. Too much sodium. Flying Dog obviously received the non-sodium part of the recipe. 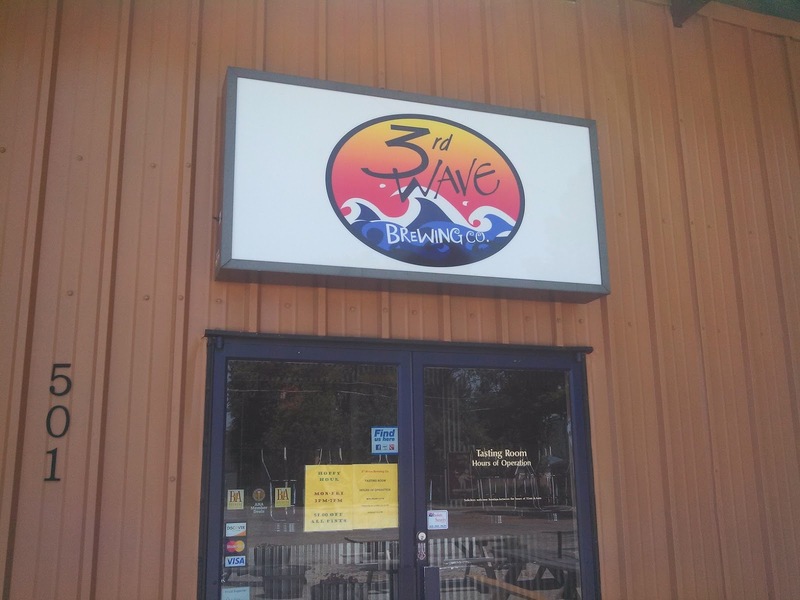 Delaware's 3rd Wave Brewing Co. actually started the trend of brewing with crab spices by releasing Shore Thing, an amber ale, which they released last year. Unfortunately, the Abbey Burger Bistro was sold out when I went to taste this weekend. 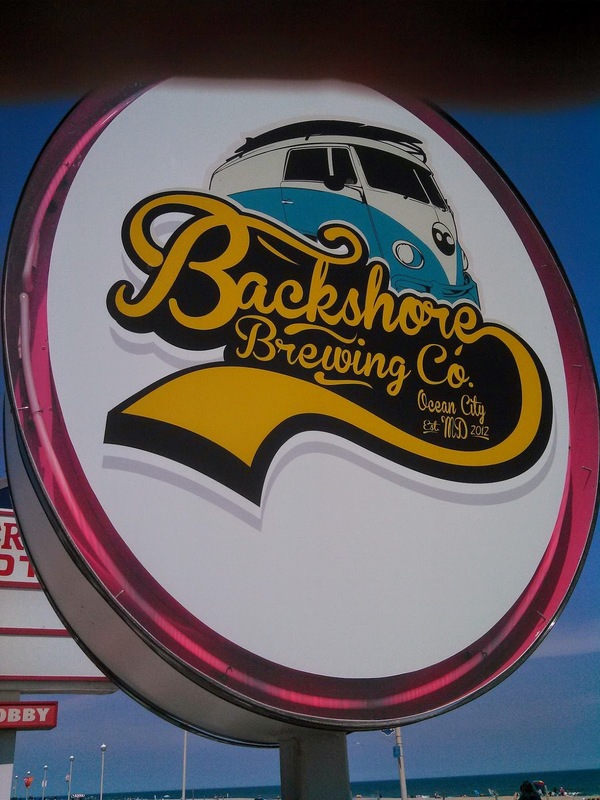 And Ocean City's Backshore Brewing Company just tapped their Baycation, a red ale spiced with crab seasoning. This beer is fuller than the Rising Dead, with more subtle spices - quite enjoyable. Cheers to summer, beer, and crabs. Over the years most of us have become accustomed to recognizing several hop styles, particularly when dry-hopped, such as the citrus-floral aroma from Cascade hops or the more floral Centennial. 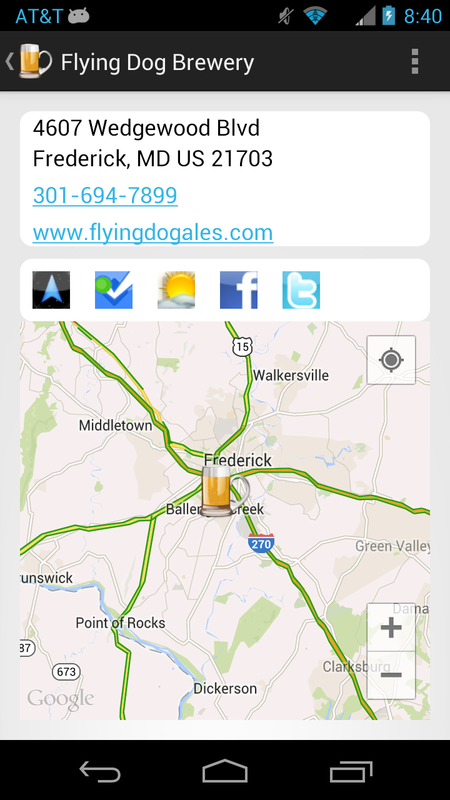 I've also come to appreciate the single hop brews such as Flying Dog Brewery's Simcoe. 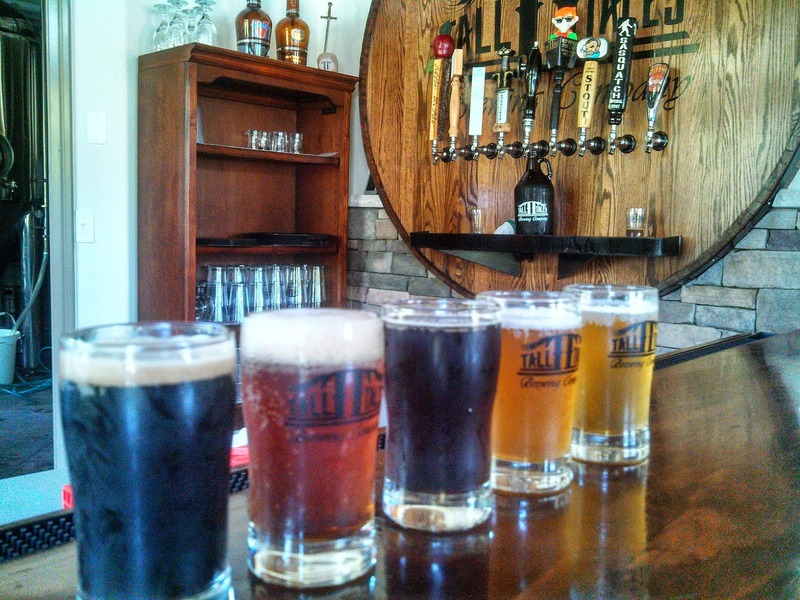 What all hops - used in American brewing - have in common is their European lineage (humulus lupulus lupulus); they may be grown in the Pacific Northwest; but the specific hop varieties originated in Europe. Until now. 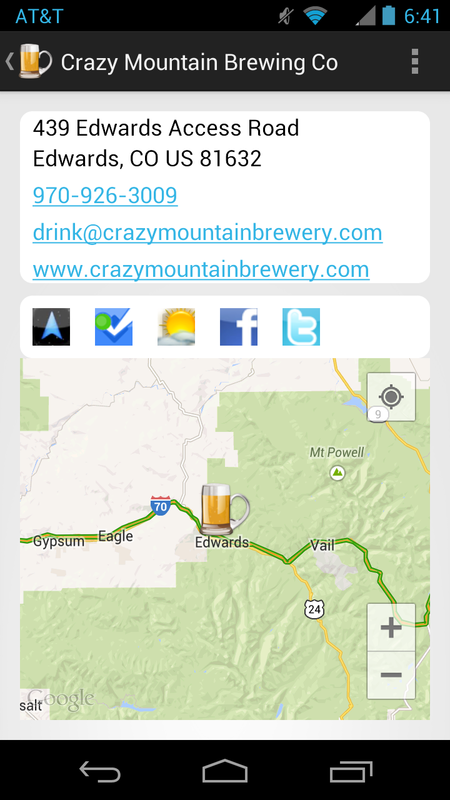 One of the coolest breweries I met at SAVOR was Crazy Mountain Brewing Company, out of Edwards, Colorado - not far from Vail. They were pouring their Neomexicanus Native Pale Ale which is bittered using the indigenous humulus lupulus neomexicanus hops. 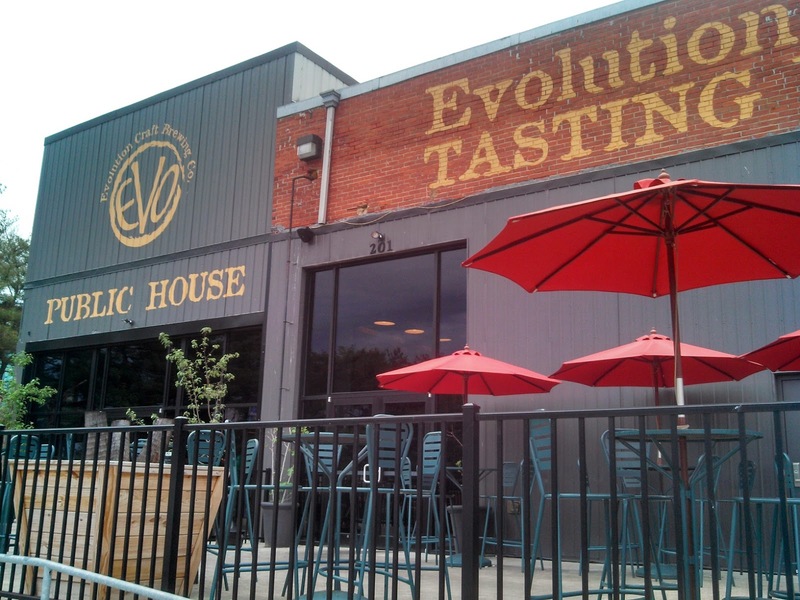 "This species of hops is completely native to the United States and is genetically different from other varieties of hops currently commercially available." For my wine friends, we are talking about lubrusca or aestivalis as compared to vinifera. Kevin Selvy, the brewery's CEO & Brewmaster, spent 5 years searching for this hop - and found it growing at CLS Farms in the Yakima Valley, Washington. They had procured some rootstock from a farmer in northern New Mexico, who had spent his life collecting "eighty different genetic lines of the plant that were growing wild". CLS Farms planted 8 of these varieties and when Selvy saw them, he ordered the entire supply. Coming full circle, the humulus lupulus neomexicanus hop variety is native to Colorado, so perhaps one day, Crazy Mountain will plant their own estate hops. Pretty cool. The Neomexicanus Native Pale Ale weighs in at 6% ABV and 46 IBU. The aroma is very strong - part agava and part white fruit - as I recall. The flavor is on the sweeter side, somewhat bready; with the long finish focusing on citrus flavors - grapefruit and lime. A rather unique flavor profile. And very tasty. For now, I believe you need to travel to Colorado to enjoy the beer. Painful. Cheers to Crazy Mountain. I have been fortunate enough to be included in several #winechat tasting sessions, where wineries or importers send samples to several bloggers. 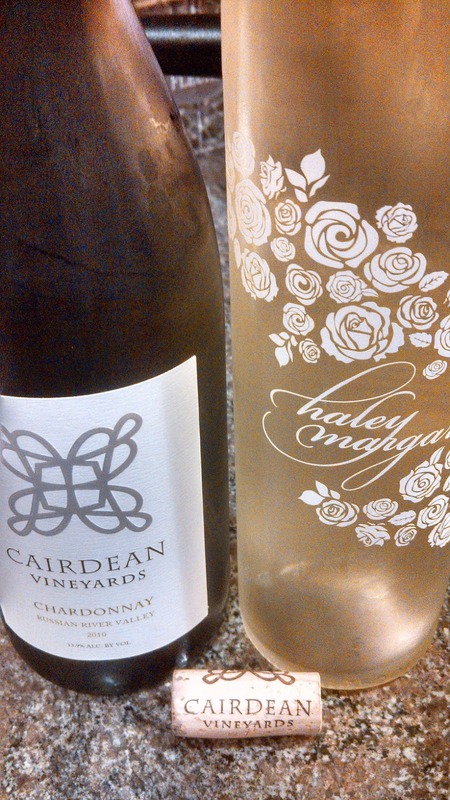 But the latest #winechat sample was coolest in that the host, Cairdean Vineyards, allowed the bloggers to select two wines from a list (2011 Napa Unoaked Chardonnay, 2010 Russian River Chardonnay, 2010 Cabernet, 2010 Merlot, 2010 Malbec, 2012 Hailey Margaret). Since I had just finished two successive Malbec tasting, I chose two whites: the 2010 Russian River Chardonnay and 2012 Hailey Margaret Napa Valley White. 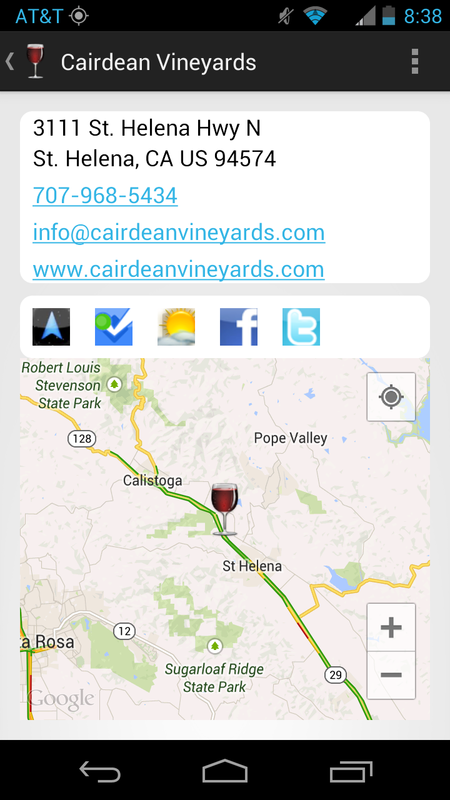 Cairdean (Scottish Gaelic for friends) Vineyards was created by husband and wife Edwin and Stacia Williams St. Helena, Napa in 2010. 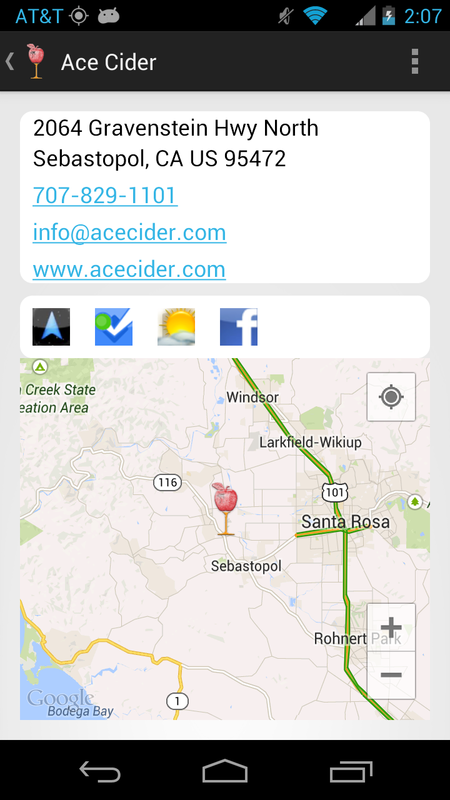 Their first vineyard is named Acquaintance Vineyard, is located in the Coombsville AVA, and is planted with Bordeaux red varietals - Cabernet Sauvignon, Cabernet Franc, Petite Verdot, Malbec, and Merlot. Their second vineyard is named Confidant and hosts Pinot Noir and Syrah in the Russian River Valley AVA. I believe their Chardonnay Russian River Valley 2010 ($42) is sourced from throughout the valley and is certainly barrel fermented, aged sur-lie over 18 month, and underwent complete malolactic fermentation. The wine was then aged in a combination of French and American oak. The result is a wine that portrays a strong vanilla aroma, a spicy chardonnay flavor, with a slightly buttery finish.I had moved away from this style of Chardonnay in favor of the unoak style - but this may pull me back. Before last month I was completely unfamiliar with the Italian wine region Le Marche (pronounced Les Markay), perhaps because it accounts for only 1.5% of Italian grape production. Located in east-central Italia, the region borders the Adriatic Sea on the east and Umbria to the west. The area has quite a history that you can discover here in addition to a small, but vibrant wine community. There are over 300 wineries using traditional methods that incorporate today's organic practices. The region encompasses all types of terrains and soils so the wine produced in the region is also a general reflection of the entire country. White and Reds are equally split with no strict DOC guidelines on blending, aging, or vineyards. The main regional white is Verdicchio, followed by Pecorino - an early-ripening, thick skinned grape mainly grown in the Marche, Abruzzo, Umbria and Lazio regions of Italy. The grape shares a name with the sheep cheese because farmers found sheep feeding on the vines. For reds, Sangiovese and Montepulciano are supreme and are usually blended together. Most of the above information I learned through Protocol Wine Studio's #WineStudio and Jonathan Zeiger, who adopted the region after a a short stint working for Lavanda Blu Agriturismo. During this time he met Giacomo Centanni, a young local winemaker, who asked Zeiger "Would you like to sell my wines in the United States?". The answer to this question resulted in ZGR Imports, where Zeiger is importing Centanni and other local producers, like Rio Maggio, into the United States. 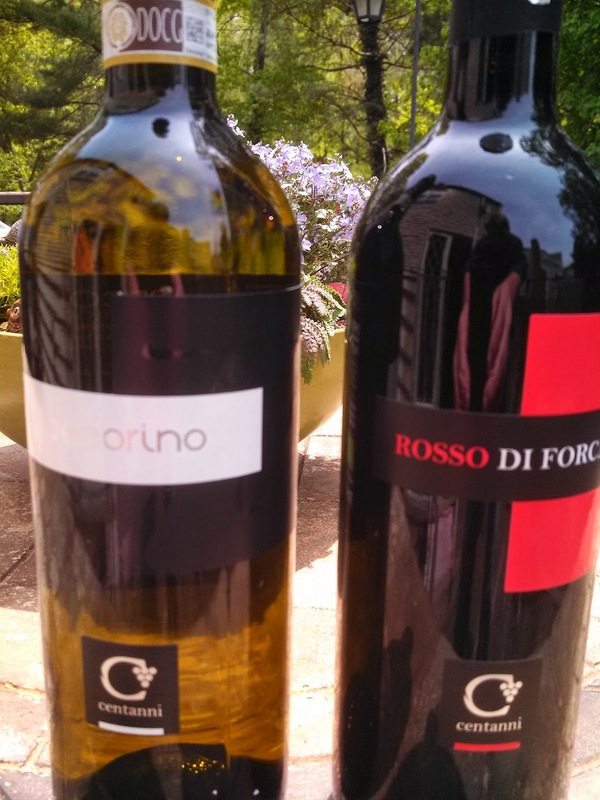 During our #WineStudio session, we sampled two wines from both Centanni and Rio Maggio. 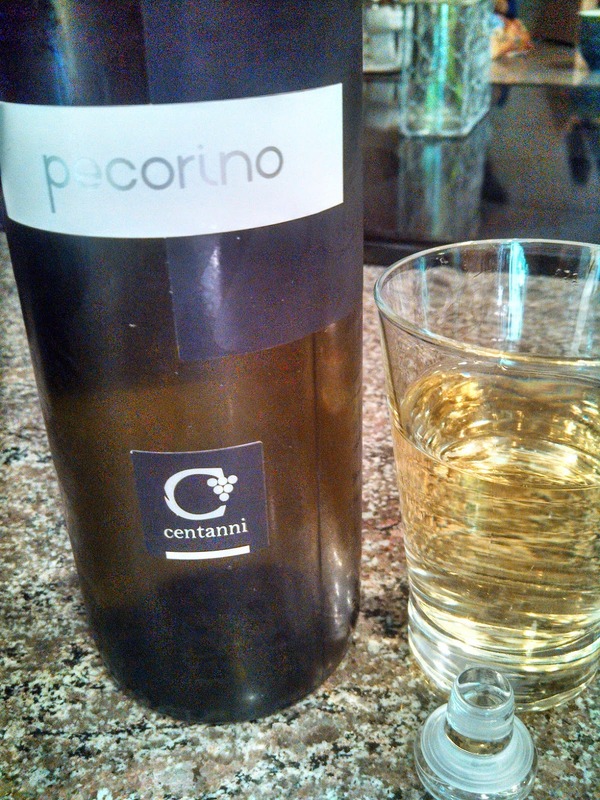 We started week 2 with Centanni, an organic winery that also utilizes the very cool Vinolok closure. The winery has been growing grapes for five generations, selling to a local co-op. In 2005, they went commercial and today 28 year old Giacomo carries on the family tradition. Their 2012 Offida Pecorino ($29) like most Pecorino is high in alcohol (14.5%), but has no heat characters. 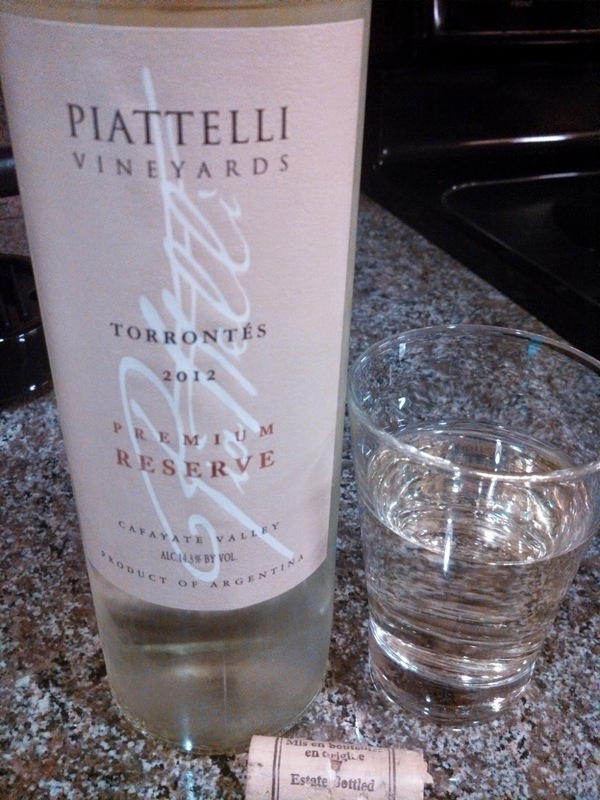 Instead, there are pears, lemon, and on the nose; creamy pear to citrus flavor; followed by good acidity. 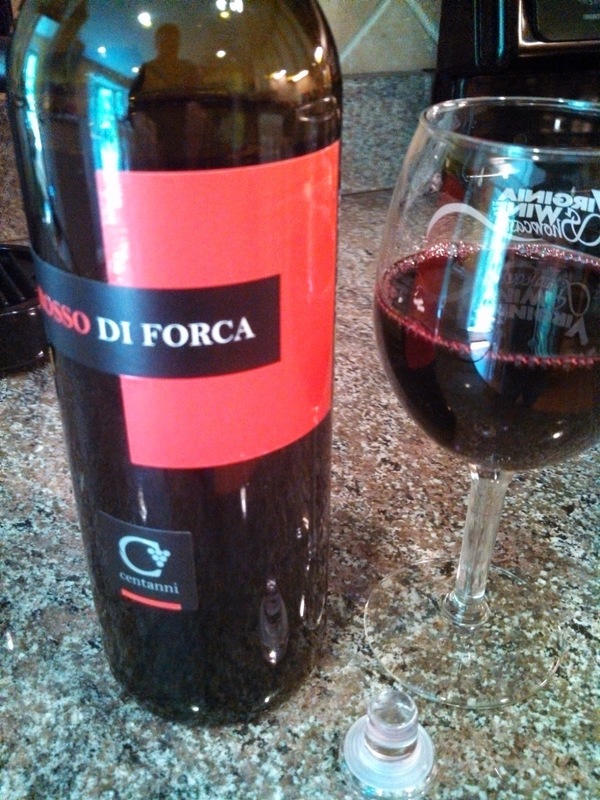 A very nice wine.We followed with the 2012 Rosso di Forca - Red Fork - ($17) a 50-50 blend of Montepulciano and Sangiovese. The grapes for this wine were harvested from the Rosso Piceno DOC (pih-chay-no), the first Marche DOC. The wine starts with an herbal aroma, followed by a smooth velvety tart sour cherry and mocha flavor, finishing with very low tannins. Drink now and drink often. Week 3 focused on Rio Maggio, which was founded in 1976 by Graziano Santucci, who focused on traditional methods of grape growing and wine making. He passed this knowledge to his son Simone, who along with his wife Tizian, planted vineyards in the two most important Marche DOCs: Rosso Piceno and Falerio dei Colli Ascolani. Zeiger highlighted two very nice wines from this small winery, a Pecorino and Montepulciano - Sangiovese blend. 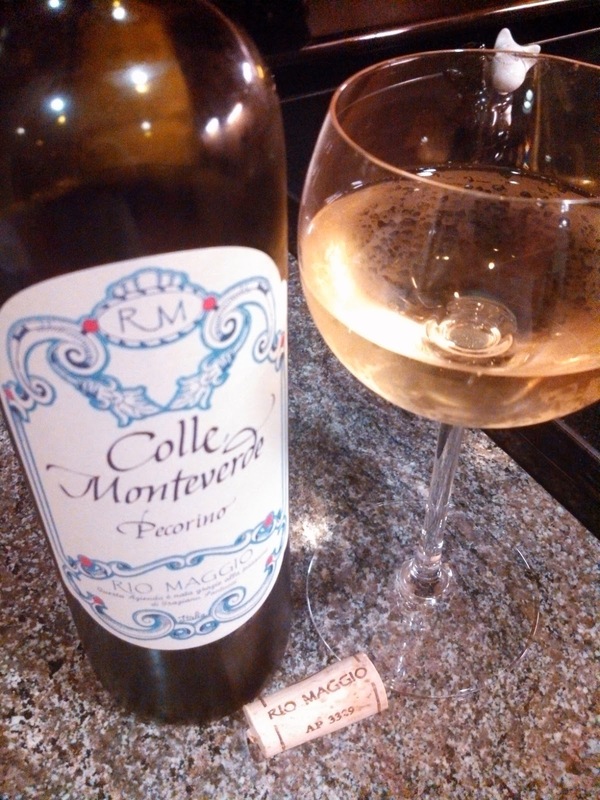 The 2012 Colle Monteverde Pecorino ($24) is lower in alcohol than the Centanni at 13.5% with more depth after sitting on its lees for 4 months. The nose is stone fruits - apricots - with a salty mineral and citrus flavor. The wine finishes with light acids. 2010 Rosso Piceno ($24) also comes in at 13.5% alcohol and is a 70-30 blend of Montepulciano & Sangiovese. These vines face northeast so they can soak up the sun for full maturation. The wine was aged in French oak for 8-10 months. The aroma was unbelievably powerful, expressing tart sour cherries like you get in Eastern Europe. The flavor was more dark fruit, plum with some elements of tea, finishing with strong acids and tannins. Nicely done. The only complaint, poor corks. Unknown three weeks ago, Le March and Pecorino have found a solid home in my wine lexicon. Cheers to that. 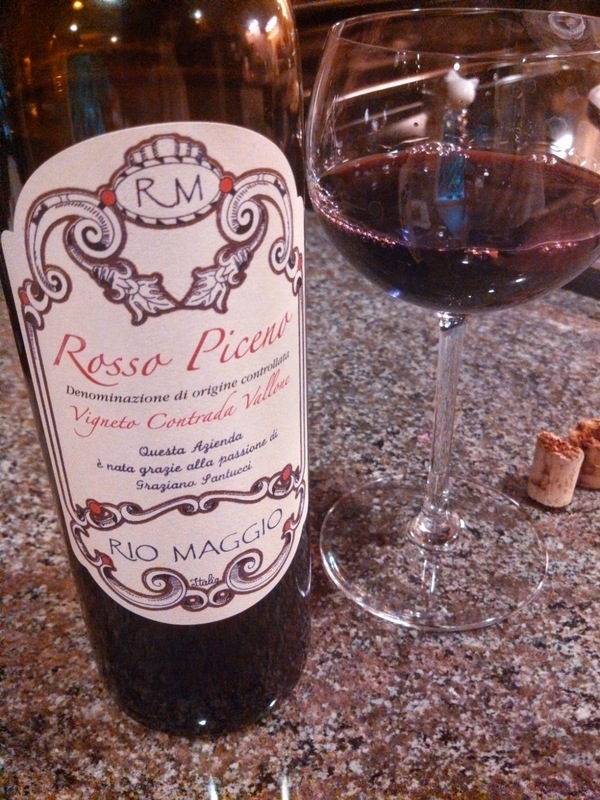 Update: the Rio Maggio 2010 Rosso Piceno is still going strong after 3 days open. The aroma is still strong with those tart sour cherries. Very cool. 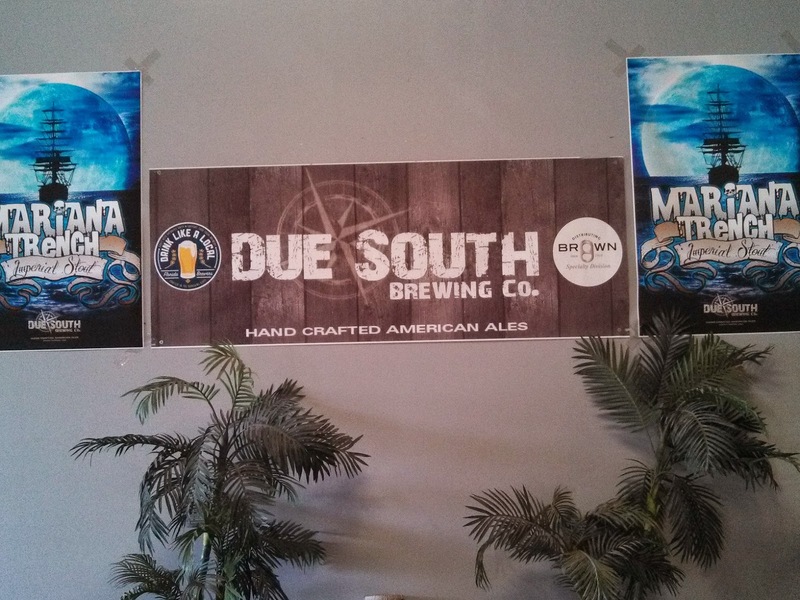 During Spring Break this year I took my son to south Florida to visit his relatives and an added benefit to the warm weather is the addition of Due South Brewing Company to the environment. 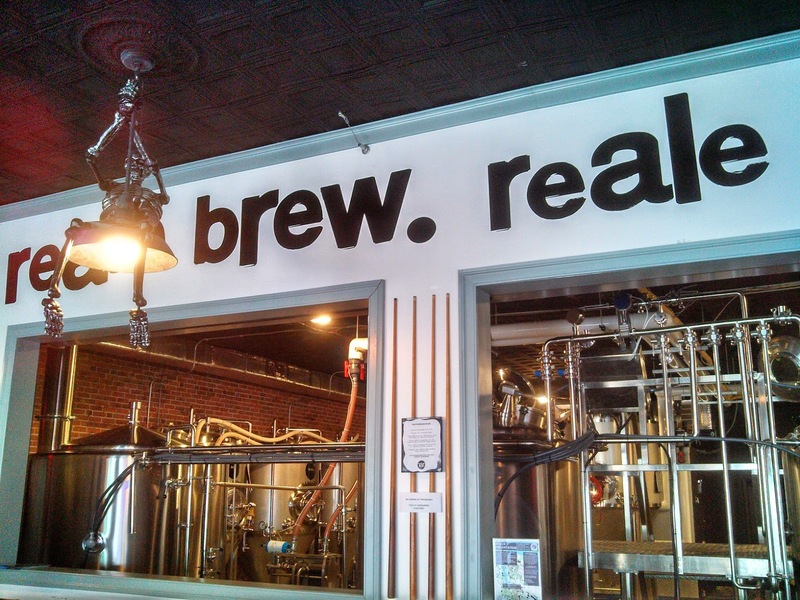 This brewery has been operating for a couple years now and I've mentioned them before. What's changed is that they have started canning their beer, which means, I can bring some home. 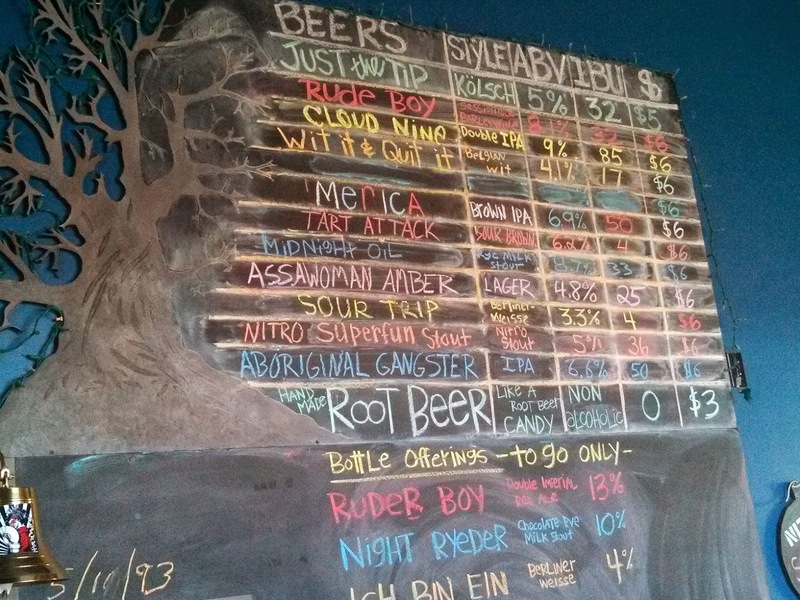 I chose the UXO American Strong Ale, although I'm regretting not returning with their Category 3 IPA as well. 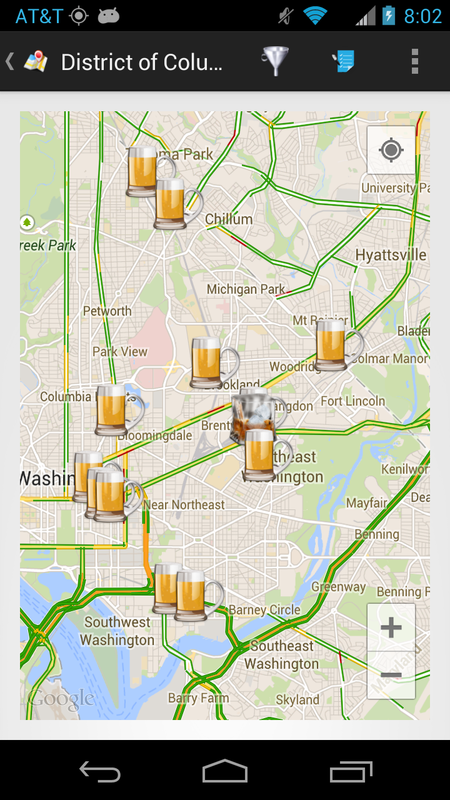 More beer is better than no beer. The UXO pays homage to the Explosive Ordnance Disposal (EOD) Technicians that have served in the US Military and "UXO is a term EOD Techs use meaning unexploded ordnance". 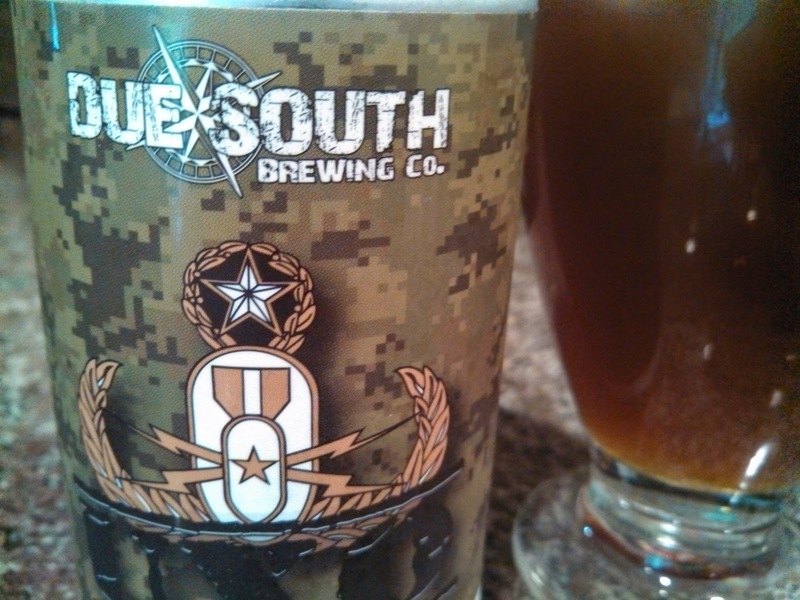 Due South founder and head brewer, Mike Halker, is a former EOD Tech himself and a portion of the proceeds will go to the EOD Warrior Foundation. The beer is big at 8% ABV with a sweet malty & caramel flavor - this is not your summer lawn mower beer. The malt is balanced with 67 IBUs if hops and I mean balanced because that much hops does not overwhelm the finish - just an easy transition. Nicely done. The Palm Beach Zoo is a regular stop in our south Florida travels. They provide educational exhibits on animals indigenous to the Sunshine state (Black Bears, Florida Panthers, Alligators, Flamingos)as well as Australia (Koala and Wallabies), Asia (Tigers), Africa (Fennec Foxes, Serval, Lemurs) and the Americas (Ocelot, Sloths). Plus many more. And on Friday nights the zoo offers Safari Nights - extending hours with live music and wine\beer. 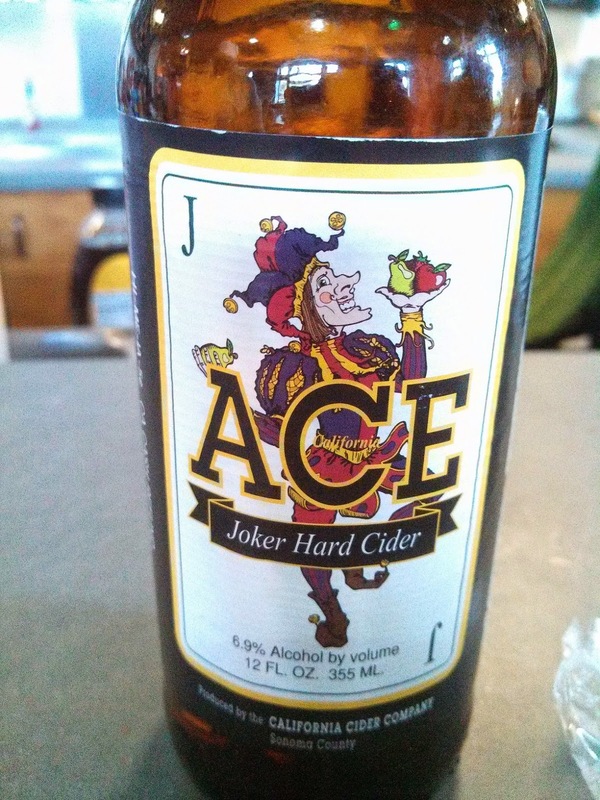 On our last visit, they were pouring local beer from Cigar City Brewing (Jai Alai IPA) augmented with Angry Orchard Crisp Apple hard cider, and nondescript wine. 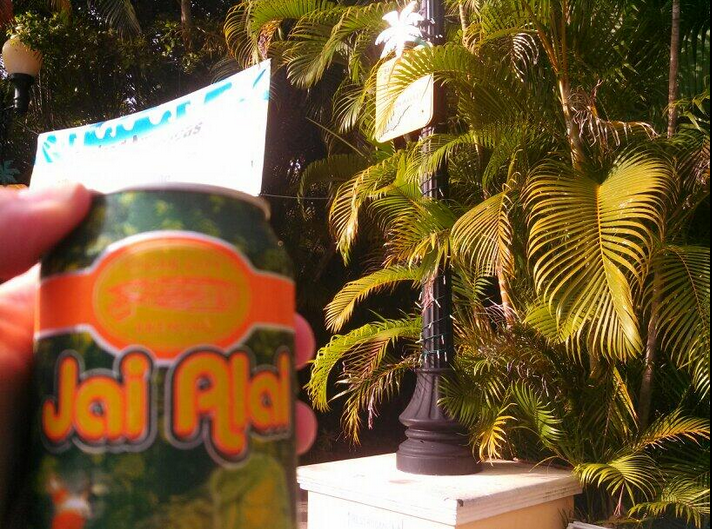 And Cigar City is generally available at the Tropics Café during regular hours. Cheers. 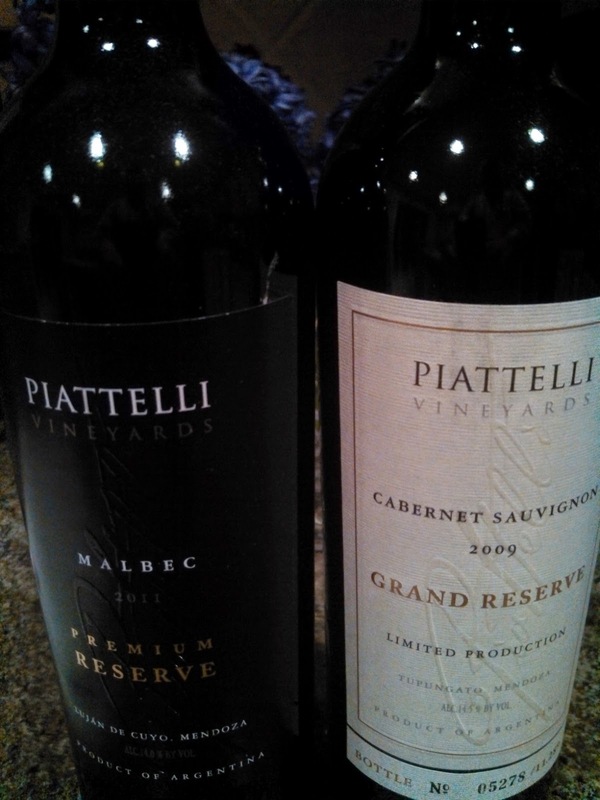 I was invited to participate in a twitter #BevChat tasting with Argentina's Piattelli Vineyards, however, the wines arrived a couple days late so here are my tasting notes of the foursome: Premium Torrontés, Premium Rosé of Malbec, Grand Reserve Malbec, and Grand Reserve Cabernet. The grapes for the Premium Torrontés ($17) were harvested from the Cafayate Valley in Salta, one of the highest elevations in Argentina. 20% of the wine was aged for two months in small, new French-oak barrels in order to moderate the natural floral character of the varietal. The wine is still floral, with a honeysuckle & white fruit aroma transitioning to a lemon flavors and a lone refreshing acidic finish. Very nice. 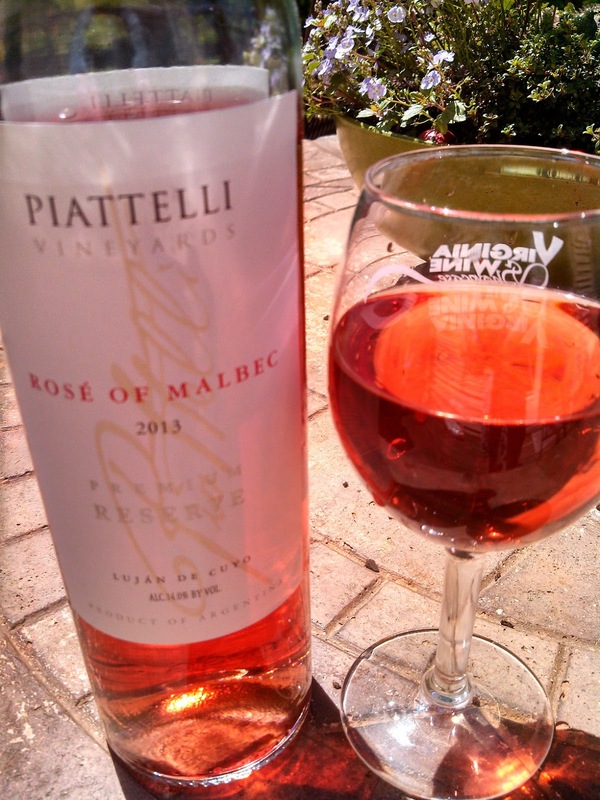 The Premium Rosé of Malbec ($10) is 9% Torrontés and 91% the Saignée or bleed from the Piattelli Grand Reserve Malbec grapes. The wine has an unmistakable sour cherry aroma and flavor, with some strawberry, yet finishing with a citrus finish. The grapes for the rosé and 2009 Grand Reserve Malbec ($25) were grown in Mendoza, specifically Agrelo, Lujan de Cuyo, on 70 year old vines. The wine was aged one year in barrel and then another year in the bottle before being released. The wine has a powerful aroma of dried red cherries, tobacco, and barnyard soot. The flavor is quite interesting; it starts as a fruit forward cherry flavor and then quickly moves to a deep rusty-chocolate tannic finish. The tannins mellow rather quickly as the wine breathes making this a very drinkable wine. The cabernet grapes for the 2009 Grand Reserve Cabernet ($20) were also sourced from Mendoza, this time the Tupungato, West Uco Valley from 30 hear old vines. Like the Grand Reserve Malbec, the wine was aged one year in barrel and then another year in the bottle before being released. The aroma and flavor invoke fresh raspberries and red cherries sprinkled with herbs and pepper, and finishing very smoothly. Drink now.